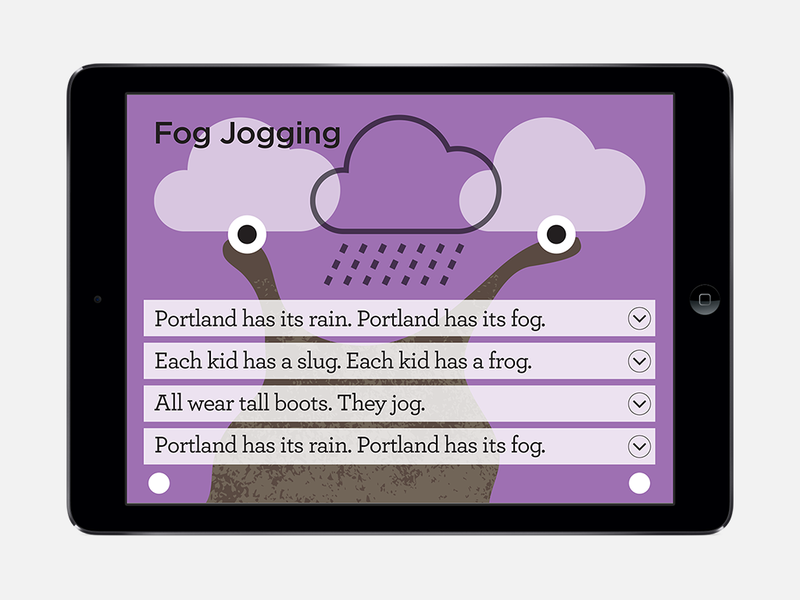 Sentence combining is a simple game tailored for students to use on an iPad device. 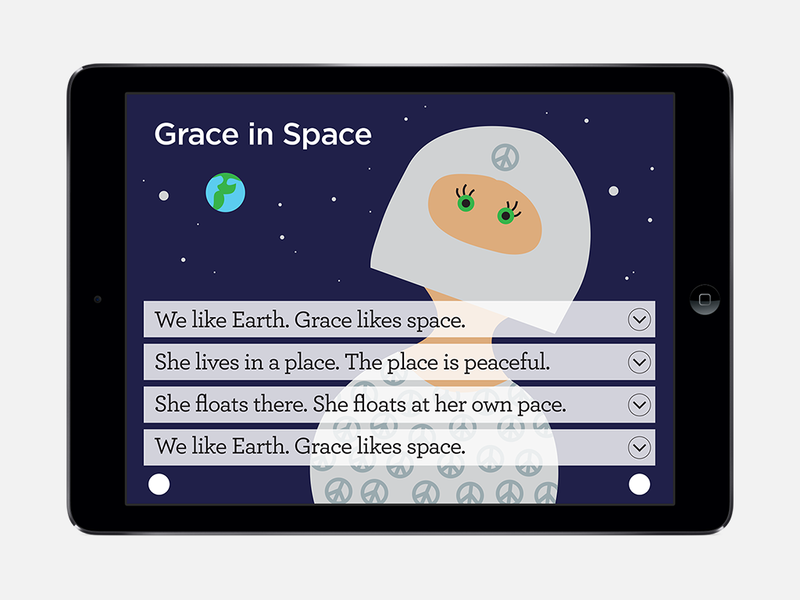 The game enables a student to construct simple sentences out of a bucket of words by rearranging the words in the correct order. 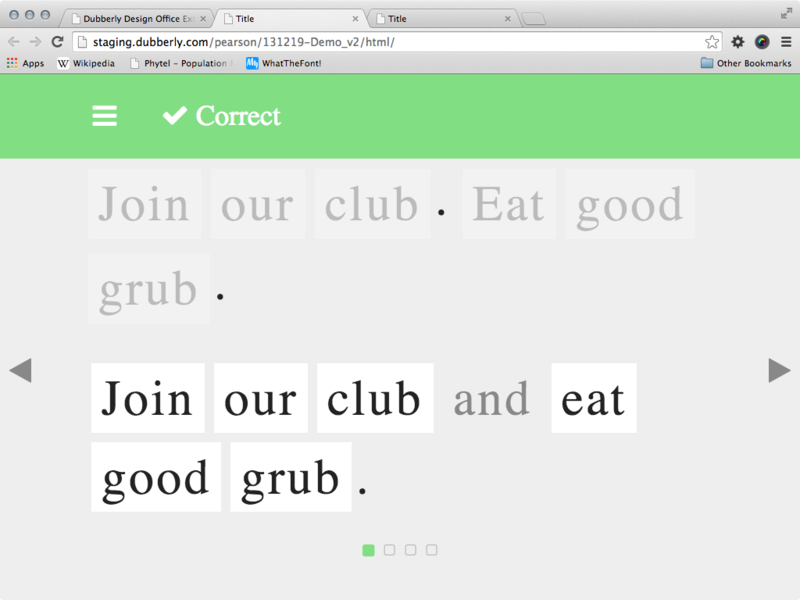 DDO worked with Pearson to design and develop an interface for sentence combining, a sorting builder tool, and illustrations for the sentence combining exercises.